We are residential Christmas lights experts and we have been providing Tulsa Christmas Lights for a number of years. Our goal at Green Leaf is to help you relax this Christmas season and let the professionals decorate your home for you. There’s nothing like the side of the beauty decorated home with dazzling, brilliant lights to signal in the holiday season. We love seeing our community sparkling with the magnificent light and festive displays, and you can be more joyous this time of year with the holidays coming alive in the magic of glittering lights. Crafting a winter wonderland with whites, garlands and wreaths, takes time and hard work and expertise to produce the perfect touch of holiday cheer for your home. We would like to reflect your holiday cheer with professionalism and elegance by providing you with the Tulsa Christmas Lights that will truly set your home apart this year. 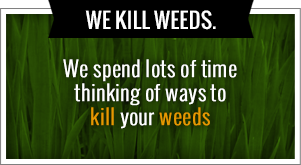 Give us a call today at 918-640-6405 or visit us online for more information at www.greenleafweedcontrol.com. Jamie Nix and Josh Mathias are devoted to their craft in providing the people of Tulsa with the very best when it comes to Christmas light decorations and all around lawncare no matter what season it is. We have been providing amazing lawncare services for 10 years, and we show no signs of letting up now. We provided services that included mowing, holiday lighting, landscaping, we killing, and much much more. There is no other lawncare service that can bring you the rich, beautiful lawn you’ve been longing for, in our professionals are here to help you with any lawn project ideas you want to transform your home. We do we control and fertilization, weekly lawn maintenance, hedge trimming in shaping, flower bed maintenance, sod installation, leaf removal, small tree removal and planting, small shrub removal and planting, and fertilizing rates starting at just $35. Those are some of our summer activities, but we can help you even through the fall and winter with leaf cleanups from lawns and landscape beds, gutter cleaning, seasonal flowers and mulch, trimming back perennial plants, scalping Bermuda lawns, aerating and over seeding, holiday lighting, and snow shoveling. We pride ourselves with not only providing amazing quality in all of our work, but we do it in a timely manner so we can get out of your hair and have your home looking great in no time flat. Our team is very good at what we do and we focus on putting our best foot forward before we even start up the lawnmower or hedge trimmer. We are extremely economical a cutting lawns which means we are very very fast. This saves every customer both money and time to focus on doing the things in life they enjoy the most and enjoying their lawn and home with a headache free manner. While putting up Christmas lights is a fine, festive tradition that families and businesses has celebrated for decades, it can also become one of the most stressful and frustrating parts of the holiday season. This is one of the most exciting times of the year and it signifies that the holidays and all the joy that they bring will soon be here. Far too often, homeowners make poor decisions when hanging holiday lights and other electrical items on their properties. Whether intention is good overall, they do not heed the warnings printed on the labels and too many strands of lights are connected to each other. This can be hazardous when cords are often left outside and exposed to rain and snow. All of these scenarios post very serious fire risks and even if you only have a few strands of lights off some bushes in your front yard, you could unknowingly cause a fire if the lights are producing too much wattage. This is one of the reasons why it’s very important to get professional help with your holiday lighting installation and Tulsa Christmas Lights. Trust the experts at Green Leaf with all of your Tulsa Christmas Lights needs and we promise to lead the way when it comes to getting the job done effectively and safely. 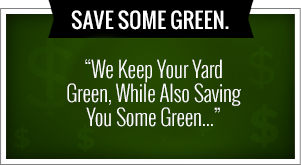 Give us a call today at 918-640-6405 or visit us online for more information about our company at www.greenleafweedcontrol.com. Aside from Tulsa Christmas Lights, we are also a company that has over 10 years experience in serving Tulsa when it comes to beautifying the lawns of northeastern Oklahoma homes. If you’re looking for someone who can maintain your lawn by landscaping it professionally, you can count on us for quality workmanship at affordable price always. We are proud to offer many of the following services to the Tulsa area. Lawncare, weed control and fertilization, Tulsa holiday lighting, and a variety of other season services. If you’re looking for lawn mowing, mulching, lawn maintenance, and more you can find it all at Green Leaf. Green Leaf is passionate about making your lawn with very best and our entire team is completely devoted to helping people create a line that can be absolutely thrilling and one that you want to show off to your friends, family, and neighbors. We also offer weed control and fertilization where we utilize a six step program to eliminate weeds from your lawn and landscape. Our system uses herbicide application, fertilizing, and a variety of other proven methods that will eliminate the unsightly weeds from your home and office lawns. In Oklahoma we have a variety of weeds that are native to the area and can wreak havoc on your lawn their left untreated and unattended. Don’t fall victim to those nasty weeds and get proactive health by hiring Green Leaf. We look forward to hearing from all of our potential clients in the area and we can’t wait to get started on beautifying your lawn today.